"Weee! Look at the pretties~!" 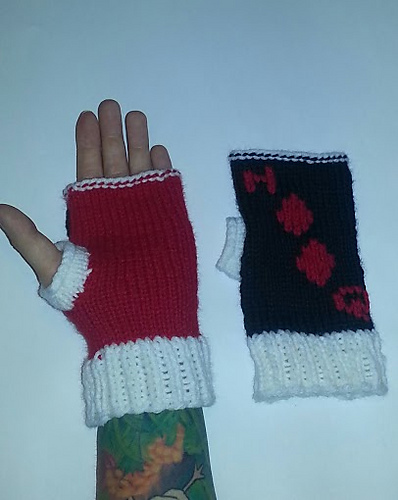 I decided to modify my design for the Harley fingerless gloves I made a year or two ago. 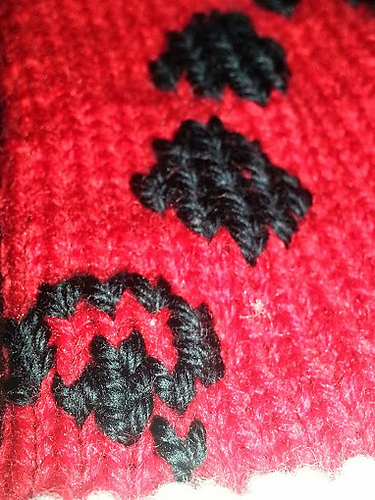 I really like how they turned out! I used size 4 DPNs and these fit me perfectly, so for most other people they'd be a bit bigger. 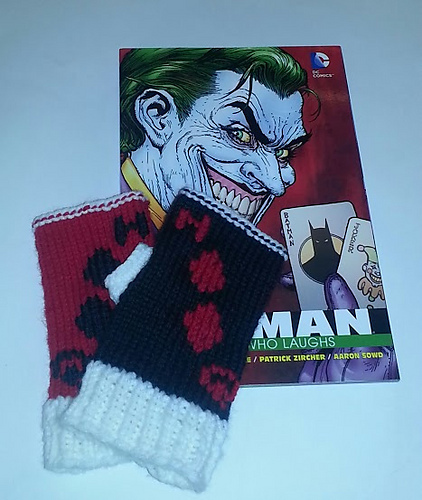 I've decided to sell these awesome geeky gloves in my shop!